Allow me to begin by congratulating you on your assumption of this monthâ€™s Presidency of the Council. I would like to express a warm welcome to our good friend, Special Representative Jan KubiÅ¡, who spoke for the first time in the Security Council today. In a short period of time, the SRSG has gained much confidence and admiration of the Afghan people, and we look forward to continuing our close cooperation. I also take the opportunity to thank H.E. Secretary-General Ban Ki-Moon for his comprehensive report on Afghanistan. We meet today at a critical juncture in Afghanistanâ€™s history. It is a time in which the culmination of the efforts of my country and the nations involved in the stabilization process in the last ten years has reached a moment of truth. Todayâ€™s debate falls within a line-up of important events that will shape the contours of the international communityâ€™s work during the transition and beyond: from the Bonn conference in December, to the Tokyo Ministerial Conference this July. After a decade, we are also looking today into a new framework of the UNâ€™s mandate and work in a situation characterized by transition, followed by the transformation decade. The transition process, which started with the transfer of responsibilities to Afghan security forces a year ago, is continuing apace. With the second tranche completed, we are nearing the launch of the third phase of transition, at the conclusion of which, the majority of Afghan territory will come under full Afghan security control. By end of transition by 2014, Afghanistan will assume full responsibility of security as well as the ownership and leadership of governance and development. A shift of paradigm is underway, the aim is sovereignty â€“ empowering Afghanistan to take charge of its own destiny and turning the direct military and civilian function of the international community into a support and enabling role. At this stage, we hope the assistance of the international community as manifested in the commitments of the Kabul conference in 2010 and Bonn in 2011, will help to meet the requisite needs of our security forces. This is crucial for the building-up, training and equipping of our national security forces, who have proven themselves in recent weeks to be increasingly capable in protecting their fellow Afghans. Furthermore, the transition dividend, channeled into Afghanistanâ€™s political stability, economic growth and social advancement, will have a direct effect on fostering sustainable peace in the country, and bring about real change in the lives of people. 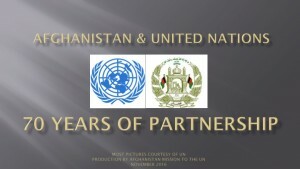 The UN over the last ten years has been in the forefront of helping the Afghan people. 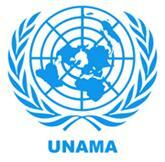 The UN has supported the efforts of the Afghan Government for building a more peaceful future for the country. While Afghanistan continues transition, it will still largely benefit from the support of the UN. We are thankful to the Secretary-General for the comprehensive review of UNAMAâ€™s mandated activities and the UNâ€™s support in Afghanistan and for the work of the review team. The Afghan Government fully agrees with the report of the Secretary-Generalâ€™s findings that UNAMA should use its good offices to continue to support Afghan-led political processes and capacity building for Afghan institutions. We appreciate the reportâ€™s emphasis on the UNâ€™s work for human rights of all Afghans; and we share the reportâ€™s assertion that aid coherence in support of Afghanistanâ€™s development agenda is crucial. 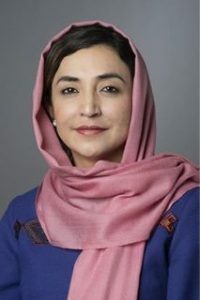 A long-term, strategic view into the renewed posture of the UN in Afghanistan will be needed to answer some of the bigger questions about the organizationâ€™s political role, the necessary steps towards reinforcing integration and delivery as one, and questions about bringing more transparency and accountability in managing resources and coordination of aid during the transition and transformation decade. I am confident that with our strong, ongoing partnership, Afghanistan and the UN are well-equipped to address all future challenges. In the last ten years, Afghanistan and the international community were together in fighting terrorism and working to bring stability and peace to the country. This fight is not yet finished.Â We still have a long way to go, and we continue to struggle to normalize the situation in the country. This is the aim of transition. But the transition we agreed upon must be a responsible, unhurried, and coordinated process. Afghanistan and its people count on both the conscience and commitment of the international community to remain steadfast to the countless and long reiterated assurances for a stable, democratic, and prosperous Afghanistan.